EMKA Transport will present a complete system including locks, hinges and gaskets to their customers, which fulfil the fire safety regulations according to DIN EN 45545. All metal components are made from heavy-duty stainless steel. Special highlights for the trade visitors in Hall 3.1, Booth 207 are newly developed EPDM gaskets. 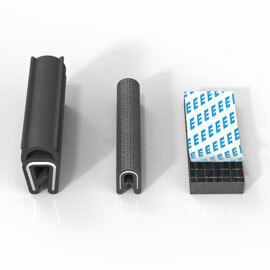 These replace common silicone profiles, allow cost savings of more than 60 percent and will soon be the leading standard in the railway sector. After introduction of the DIN EN 45545, research started in various places to find out how existing silicone profiles can be exchanged by more cost-effective EPDM gaskets on a comparable safety level. EMKA contributed by long-term experience and manufacturing competence of their own profiles and moulded known EPDM mixtures into heavy-duty gaskets with tested and approved fire safety. The international trade visitors may see the convincing results at the fair booth in Berlin. The gaskets for the interior and exterior areas are integrated in an innovative locking programme for the railway sector. 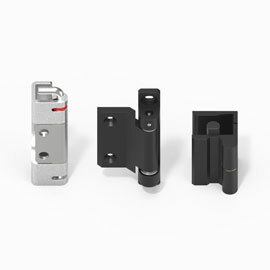 Locks and hinges are made of stainless steel, so that these too guarantee higher fire safety. 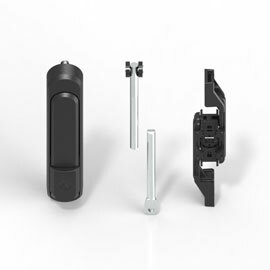 As EMKA manufactures all components itself, they are optimally geared to each other in the functional whole. 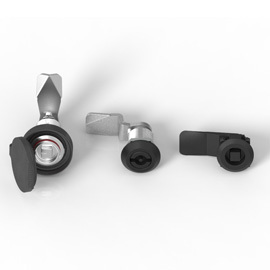 A new system with multi-point locking and lift and turn function also simplifies the application of the locks. The user can lock several units from one operating point. This saves time, in particular during maintenance work and at the same time increases safety, as not every lock has to be checked individually for its status.